With professional teams in every major US sport, legal Arizona sports betting is surely happening all year round. From the Diamondbacks in the summer to the Cardinals in the winter, AZ residents are finding a way to cash in on their favorite team’s victories. The rest of the gambling scene is just as prevalent in the Grand Canyon state. Arizona is home to over 20 tribal casinos scattered throughout the state, each of which offers games like blackjack, poker, and slot machines. Although, the one activity you won’t find in any of those casinos is sports gambling. But, before you pack your bags and plan your trip to a bordering state, you should know that legal sports betting in Arizona can be found in your own home. Online offshore sportsbooks offer those same types of Vegas-style odds boards to any AZ resident with an internet connection. We’ll discuss the legality of using these sites, what it will take to see legal sports betting offered at casinos, and we’ll even cover topics like daily fantasy sports and pari-mutual wagering. 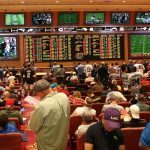 Is Land-Based Sports Betting Legal In Arizona? Unfortunately, land-based sports betting in Arizona doesn’t exist right now. The reason mainly stems from the tribal compact that the state of Arizona has with the local Native American casinos owners. The compact allows those tribes to offer Class III gaming activities in exchange for a tax on revenue but does not extend those activities to include gambling on sports. If state officials wanted to allow other locations to offer this additional type of gaming then they would risk losing tax revenue from tribal casinos. This is why state officials are looking to rework the original compact so that only the tribes are allowed to offer it at their land-based locations. Is It Illegal To Bet On Sports Online In Arizona? This comes down to a matter of which kind of websites you are trying to use. Arizona laws don’t specifically outlaw online sports wagering which is why many people feel safe in using that method. 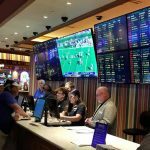 However, there are no online options provided by sportsbooks within the state and if you tried to use one that is being operated in another state you risk breaking federal laws. This is why the only way to access legal Arizona sports betting is to use online offshore sports gambling sites. Their sportsbooks are regulated and operated in countries outside the US. This means that Arizona state laws and federal laws have no jurisdiction over them and why they are a safe option. Is There Anywhere In Arizona That I Can I Bet On Sports? While neighboring states have sportsbooks located within their borders, Arizona has yet to receive that luxury. But, you can technically place a sports wager anywhere in the state as long as you are doing so through an online offshore sportsbook. There are a plethora of options on the internet, but there are four specifically that we recommend. Those four are Bovada, 5Dimes, BetOnline, and of course SportsBetting. These sites have been tested and proven to accept and deliver payouts to AZ residents. They each also offer the same odds you could find in a Vegas casino, right from your desktop or mobile device. If you’re an AZ resident and enjoy physically placing your sports wagers at gaming facilities you’ll have to travel a bit to do so. 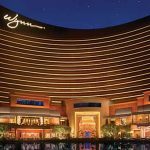 It should come as no surprise but many people in the area love to travel west to Nevada in order to indulge in some of the world’s finest gambling activities. New Mexico also provides a safe means to land-based sportsbooks. But, as previously discussed, in order to see the same happen in Arizona it will take a renegotiation of the state’s tribal pact. Arizona’s governor has already expressed interest in this which is why we’ve provided a list of cities that would most likely see sportsbooks open once a renegotiation happens. We’ve also listed out some nearby cities that offer sports wagering while residents wait. AZ §13-3301 encompasses the full stretch of gambling laws in the Grand Canyon state. As of now, there have been no bills introduced to change these laws or to include language specifically prohibiting or allowing residents to gamble on sports. Since the Governor has publicly mentioned his intentions to rework the tribal compact, many believe that Native American casinos will be the only places in the future to wager on sports. However, there has been no mention as to whether or not those casinos will introduce their own betting apps, or allow residents to place their bets online. Arizona is one of the few states in the country to have a professional sports team in every major US sport. Fans have the option to watch Cardinals games live in one of the most high-tech domes in the country. And even though Arizona is mostly covered in desert, residents even have the option to go watch NHL games and root for the Coyotes. Great games don’t just end at the professional level, because sports programs at the University of Arizona and Arizona State draw in huge crowds as well. With the online offshore sportsbooks we recommend, legal sports betting in Arizona can be done on these teams and almost every team outside of the state. Horse race betting is usually an activity tied to the Southeast, but Arizona is no stranger when it comes to hosting great races. Residents can place their wagers at tracks such as Turf Paradise Race Course, Rillito Downs Park Racetrack, and Yavapai Downs Racecourse. But, for those looking for a more convenient way to place wagers, they’ll be happy to know that they can do so with the same sports betting sites we’ve previously recommended. Bovada, SportsBetting, BetOnline, and 5Dimes each come with a state of the art online racebook. There also promotions and bonuses for using their racebook which may give you an edge the next time you want to bet on your favorite pony. For many states that don’t have regulated laws regarding sports gambling, residents turn to daily fantasy sports as an alternative means to bet. However, Arizona residents do not have that option. 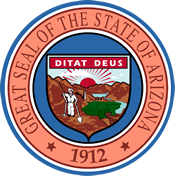 While many argue that DFS is a game of skill, based on the analytical research needed to make picks, AZ lawmakers claim that it is a game of chance and therefore prohibited. There are currently no DFS sites that will accept Arizona residents and these include DraftKings and FanDuel. Not even Fantasy Draft or Yahoo will risk allowing AZ residents to sign up. The good news is traditional and legal Arizona sports betting can still be had at online offshore sportsbooks and many of them offer contests similar to DFS sites. Can I Bet Real Money On Sports In Arizona? Yes, but only through online offshore sportsbooks. The way that they work is that you first use real money to make deposits on the site. This can be done through the use of a debit card, bank wire transfer, check, Bitcoin, or other financial means. Once the site receives your deposit you’ll be able to use those funds to place whatever kind of wager you’d like and if you win they will send your winnings back to you in the way that you choose. 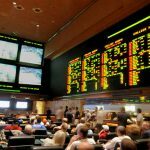 What Is the Sports Betting Age In Arizona? Since legal Arizona sports betting isn’t officially mentioned in the law, residents who place wagers online should go by the age restrictions of other gambling activities in the state. While the lotto only requires customers to be 18 or older, casinos in the state only accept patrons that are 21 or older. It is always advised to go by the highest age required by the state in order to minimize any risk that goes into online gambling. 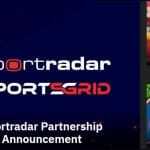 Are There Mobile Sports Betting Apps Available In Arizona? As a matter of fact, offshore sites like Bovada, SportsBetting, BetOnline, and 5Dimes all have mobile apps that are available for download right from their site. Bovada is the only one in the pack that has an official app in the app store. But, each site is mobile friendly and offers all the latest odds and ease of making deposits right from your smartphone or tablet. Should I Use A Local Bookie In Arizona? Under no circumstances do we advise using a local bookie. The reason is two-fold. The first being that you would be breaking state law and put yourself and that bookie in legal trouble. The second being that your money isn’t very secure with them. With offshore betting sites, you have the security of knowing that they are regulated in their home country and that they offer 24/7 customer support via phone and online. Is It Legal To Bet On Sports With My Friends In Arizona? Many times you and a group of friends can get overly competitive when it comes to sports, and this may lead to forming sports pools. Folks should know that this is a completely safe form of legal sports betting. As long as the commissioner or the person handling the pot doesn’t get a cut of the winnings, and you don’t advertise the public to join, you should be well within your legal grounds to form such a pool. Offshore sports betting sites also have great referral programs and contests that you and a friend can join.